The blog team visited the Ideal Home Show this week and have taken loads of pictures to show you what a great spectacle it was! 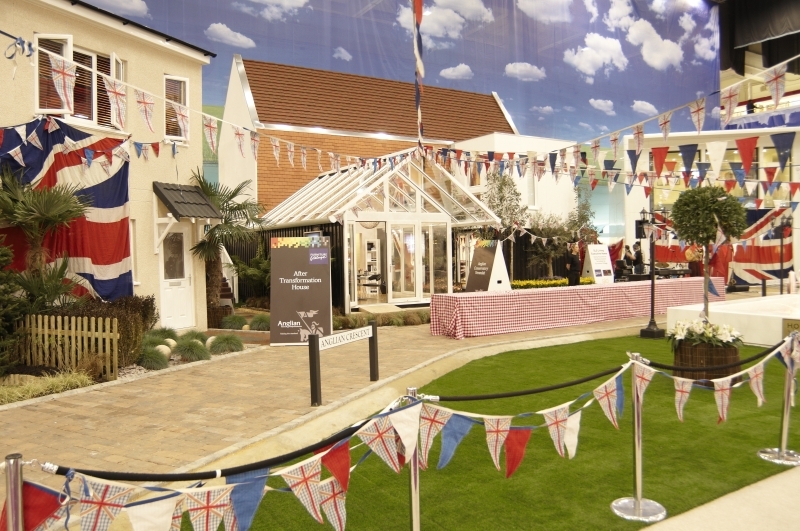 The Anglian Show Village was draped in Union Jack bunting and flags for press day – which also coupled as a ‘Support our soldiers day’. We took this picture early on, showing the executive house which shows off our new Verandah concept. More on that in another post! Later as the crowds swooped in a marching band played and jive dancing took place to keep everyone entertained as they waited to go into the houses at Anglian Crescent. The transformation house in Anglian Crescent is split into two parts – one side of the semi-detached house is functional and well loved, containing 80’s furniture and décor together with original 80’s windows and doors. The other half of the property is fitted with a range of Anglian Home Improvement products to create a direct comparison and to show the huge steps in energy efficient designs over the last two decades. We will write more next week on the Conservatory Verandah concept which we unveiled and hoped to wow the crowd with; as well as announce another ticket giveaway to give you the chance to go and see all of this for yourself! 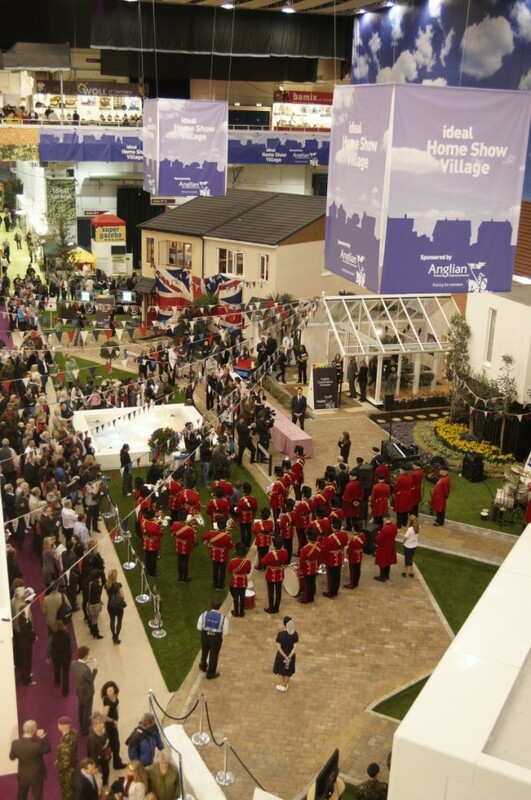 In the mean time, check out the official Ideal Home Show video for Day 3, with clips of the marching band and everything! 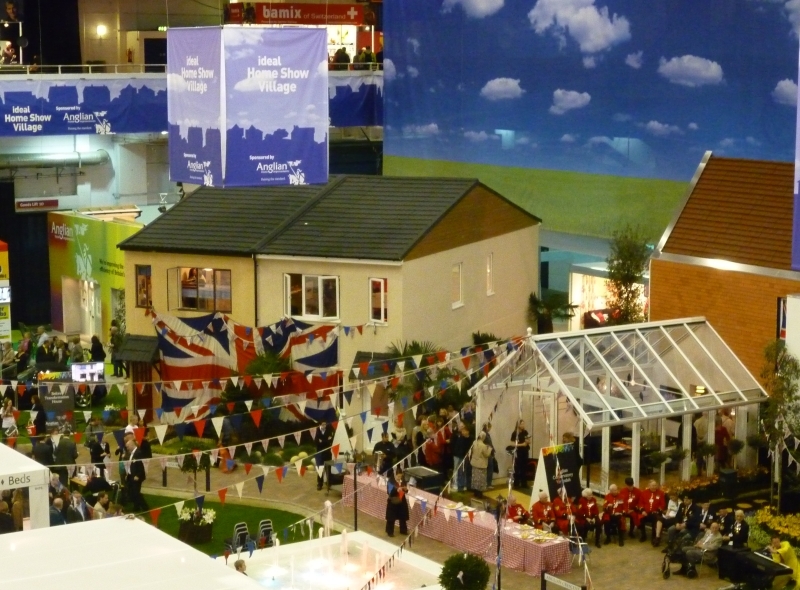 Anglian Home Improvements, proud sponsors of the Ideal Home Show Village.